iTube Studio for Mac allows you to record streaming videos from Hulu, Netflix, iTunes, BlockBuster, Metacafe, CNN, Vimeo, and more in high quality. You can also record microphone and record Facetime and Skype video call. 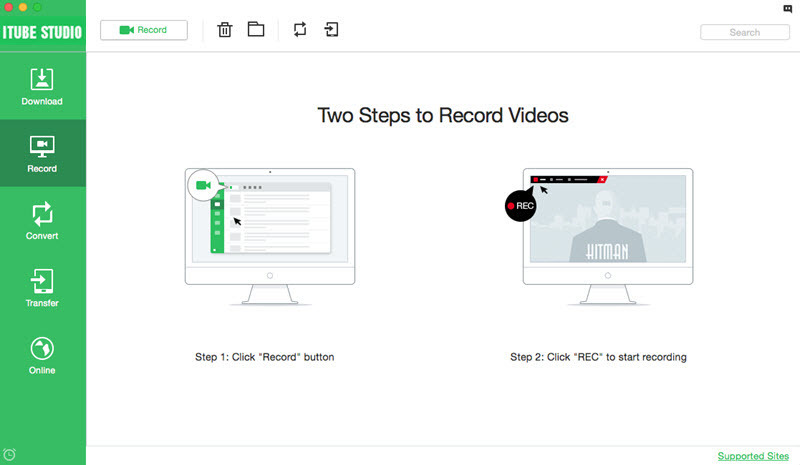 Follow the below guide to record video online. When you find the video you want to record, open it. And navigate to the main interface of iTube Studio. Open the "Record" tab and click the “Record”button, and then you will open the recording window. 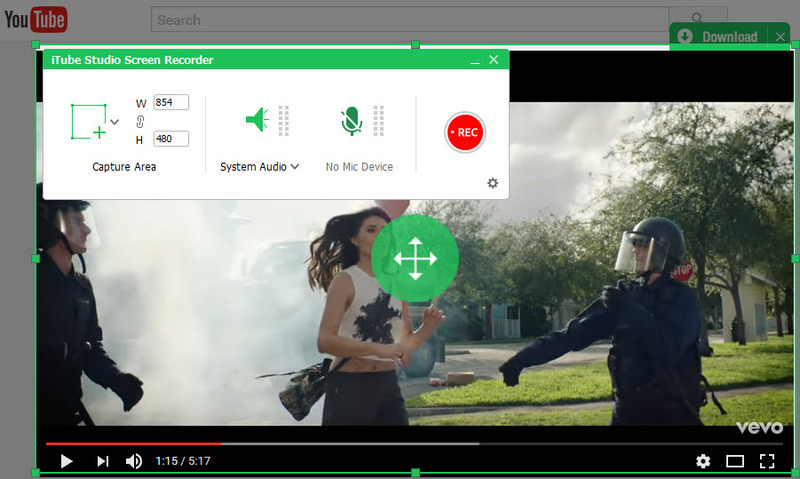 You can drag and slide the frame of the recording window to confirm the video screen you want. Or you can customize the video recording screen in the “Capture Area” by manually. 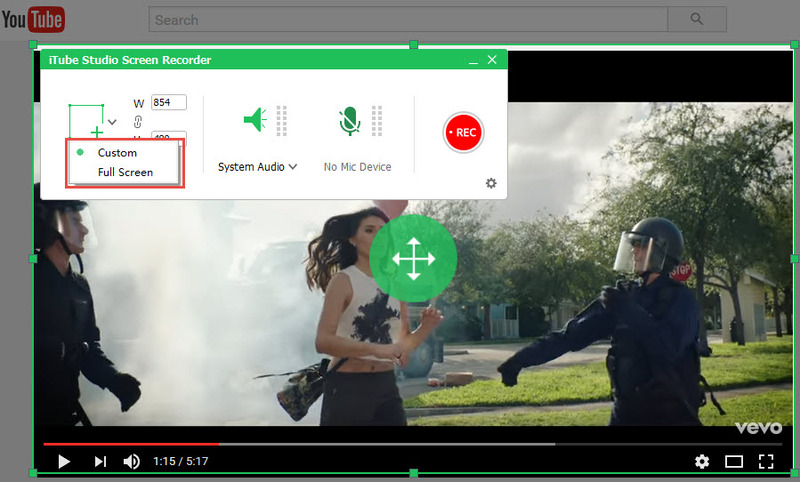 If you want to record full screen, you can click arrow beside the recording frame icon, and select the “Full Screen” option in the drop-down menu. And iTube Studio will record your full desktop screen. 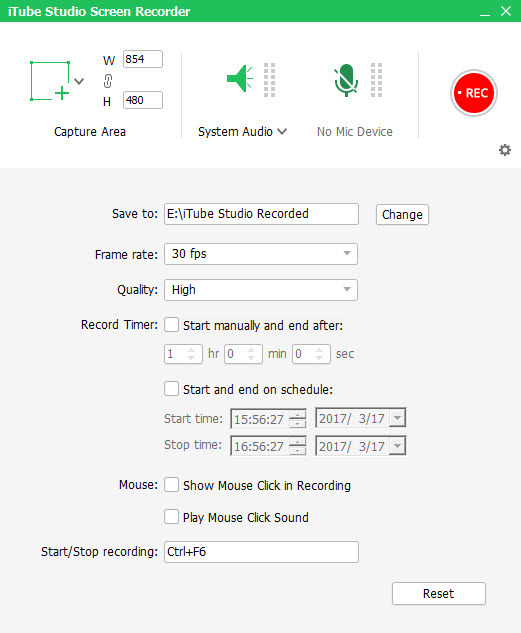 To make you a great video recording experience, you can click the “Gear” icon at the bottom right corner of the recording control panel to open the settings window. 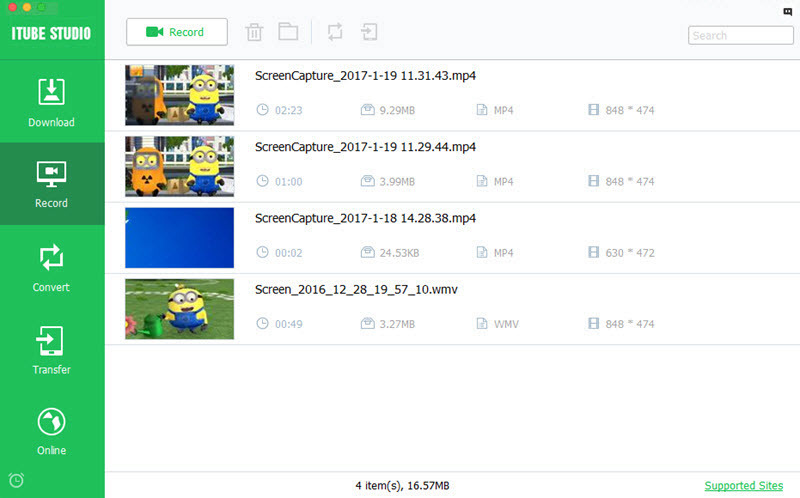 Now you can set the frame rate, quality, record duration, destination, and more. After you confirm the settings, click the "REC" button to start the video recording. 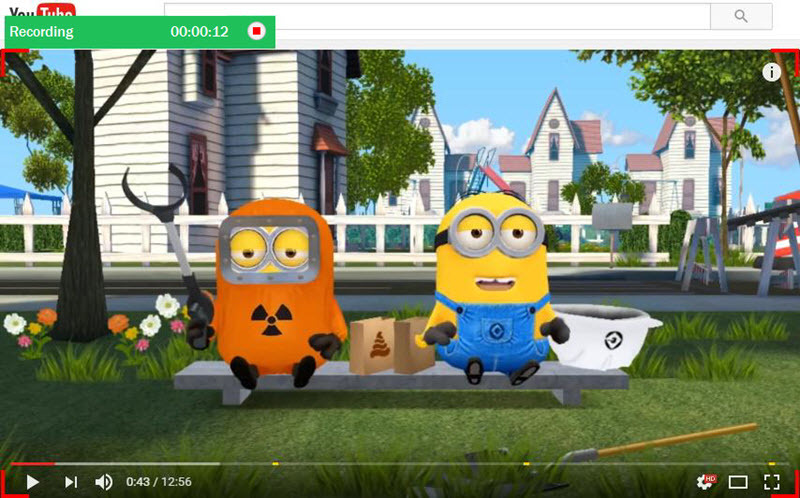 You can stop and save the video by clicking the “Stop” button or click the Ctrl+F6. After the recording, you can click the X button to close the video recording window. And the recorded video will be saved in the “Record” menu.